The Huawei Y7 Prime 2019 comes with 3 GB of RAM and 32 GB of internal memory which can be expanded via microSD. The smartphone runs OS Android 8.1 Oreo. The phone powered by a 4000 mAh non-removable Li-Polymer battery with a micro USB charging port. The Huawei Y7 Prime 2019 is equipped with a Qualcomm Snapdragon 450 processor. The price of the phone is 215 $. 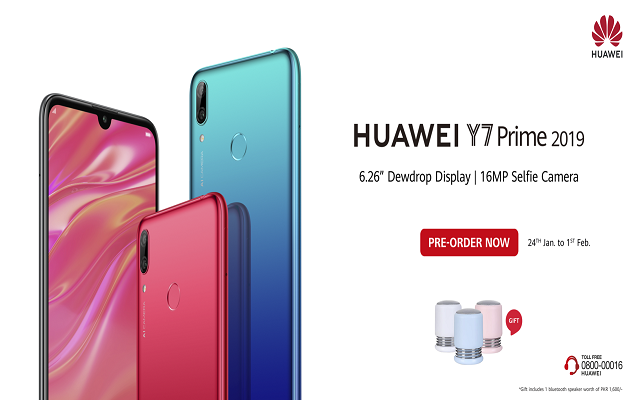 The Huawei Y7 Prime 2019 boasts of the 13-megapixels image sensor with f/1.8 aperture and 2- megapixels second rear camera which is used for depth information. The front camera is 16-megapixels with f/2 aperture for selfies and video calling. 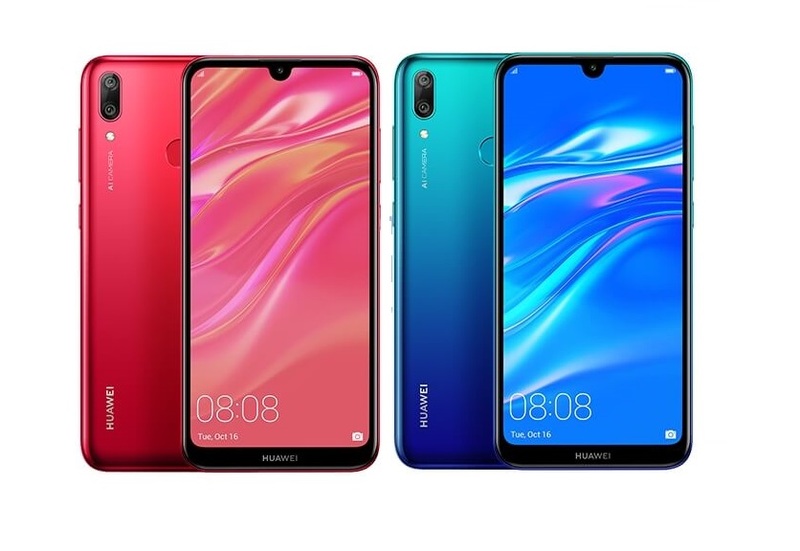 The smartphone comes in three colors (Black, Blue and Red). The smartphone comes with a 6.26-inch IPS display with screen resolution 720 x 1520 pixels. The dimensions of the phone are 76.91 x 158.92 x 8.1 mm and weight are 168 g.